BRIDGEPORT, Connecticut (WABC) -- A 39-year-old man accused of fatally stabbing his girlfriend and fleeing with their 6-year-old daughter to Pennsylvania was arraigned in a Connecticut court Monday. A judge ordered Oscar Hernandez, of Bridgeport, held on a $2 million bond Monday. Hernandez faces murder, attempted murder and first-degree assault charges. Hernandez is said to be an illegal immigrant who was previously deported to El Salvador after he was convicted of a violent crime, and he then allegedly reentered the U.S. illegally. He was arrested in February after crashing into a tractor-trailer on Interstate 99 in Centre County, Pennsylvania. Police has been chasing him after an Amber Alert was issued. 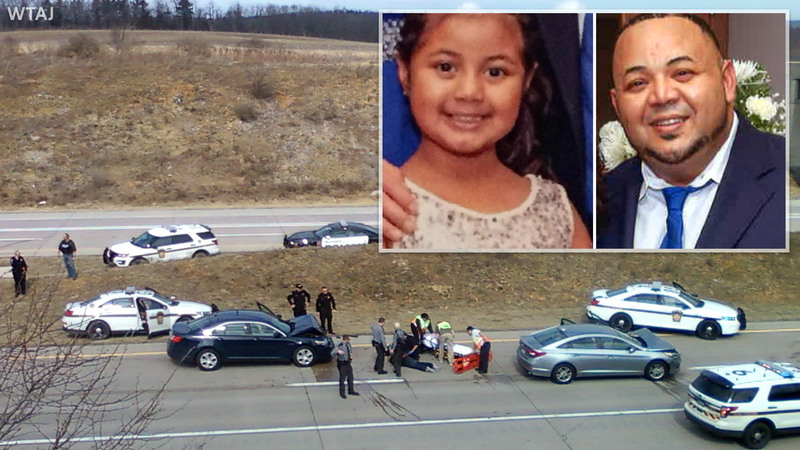 Police say Hernandez fatally stabbed Nadia Gonzalez and fled with his daughter, who suffered minor injuries in the Pennsylvania crash. He was set to face a judge last month, but officials say there were no certified Spanish interpreters available. Hernandez waived extradition and was returned to Connecticut last week.